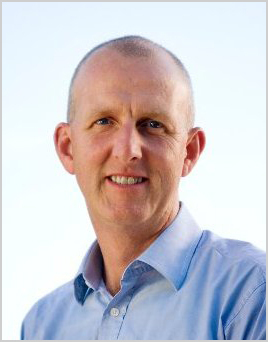 news The Department of Defence has appointed high-flying global IT executive Peter Lawrence, currently group manager of IT, Energy Markets for utility Origin Energy, to replace its outgoing chief information officer Greg Farr. The spokesperson said Lawrence (pictured, right) had ‘over 20 years’ experience in planning, implementing and managing technology across a wide range of businesses and business functions on a local, regional and global basis. He is currently, the group manager IT, Energy Markets at utility Origin Energy, but he has over the years occupied a number of other senior IT positions in Australia, New Zealand and internationally. Lawrence’s LinkedIn profile shows that he has held his current position since August 2011, after leading ANZ Bank’s IT division in New Zealand for three years. Previous to that he was ANZ’s head of infrastructure. Before that period, he held a number of senior positions from 1999 with global energy giant Shell. He was educated at the Universities of Bath and Nottingham in the UK in Chemistry. Defence said no start date for Lawrence had been determined at this point. Lawrence will replace one of the Australian public sector’s most highly regarded and experience IT executives, Greg Farr, who served as Defence’s CIO for the past five years, following an extensive career in similar positions at the Australian Taxation Office, where he led the agency’s colossal Change Program, recently heralded as one of the few major successful IT transformation projects within Australia’s public sector. Farr was appointed to lead Defence’s CIO Group in April 2007 at time when the organisation had been suffering high-profile problems with its IT operations and a perceived lack of strong governance from its central CIO office. Since that time, Farr has done much to stabilise and modernise Defence’s systems and is currently spearheading the Defence ICT Strategic Reform Program, which is one of the largest ongoing IT transformations in Australia, involving hundreds of millions of dollars in IT spending. In January this year Farr was awarded a Public Service Medal for outstanding public service in leading major reforms of the strategy and delivery of ICT systems, particularly in the Department of Defence. In a statement issued in July when Farr’s departure was announced, Defence said: “Greg was employed on 19 November 2007 on a five year contract that comes to an end on 18 November 2012. There is no opportunity to extend the contract. He is planning on finishing the contract, will take a break then will look at opportunities next year.” It is not known why Farr is leaving Defence or what his next move will be, after several decades of public service. Lawrence will share a great of corporate history with Wadeson’s replacement at the Department of Human Services, Gary Sterrenberg, who was appointed a little over a year ago. Like Lawrence, Sterrenberg’s has a previous role over the past half-decade was at ANZ Bank – his most recent position as chief information officer of its Australian division – and Sterrenberg also worked at Shell during some of the period that Lawrence was with the energy giant. It is likely the two IT executives have directly worked together at several points in the past; and will again in their roles at Defence and Human Services. To say Lawrence’s appointment is an interesting one is an understatement. For starters, we never really found out why Farr is leaving Defence in the first place. It doesn’t seem as though the executive is planning to retire, but after spending pretty much all of his career in the public service and even winning a Public Service Medal for his efforts, it’s hard to see Farr working in the private sector. Did Defence not renew Farr’s contract? It’s not really clear at this point. Secondly, there is the matter of Lawrence’s shared history with Sterrenberg. I’m not going to allege any impropriety in Lawrence’s appointment, and frankly I would find it hard to believe there was any, but it does seem like the pair have pretty extensive links going back a decade; both holding leading IT positions at ANZ Bank and at Shell at the same time, and now both holding top positions in the Federal Government. The appointments of Lawrence and Sterrenberg also appear to mark a new era for the Federal public sector. Usually the CIOs of major departments come from within the ranks of the public service; executives start off working within IT in a department, gradually progress and become the CIO of a small department, and eventually then win spots as the CIO of a larger department. However, it seems as though the public sector is increasing recruiting outside its ranks at the really top level at the moment. This is in general a good thing – as public servants can get a little stuck in their ways and the bureaucratic ‘culture’ sometimes – but in some cases you have to question the situation a little. Is an executive like Lawrence, for example, who has never worked in the public sector, according to his LinkedIn profile, ready to lead IT for that most rigid of organisations, the Department of Defence? Only time will tell. In any case, he’ll have big shoes to fill. In terms of Australia’s IT sector, Greg Farr is a giant. From what I’ve seen of the man, there was nothing untoward about Greg Farr’s departure. Through the ATO and Defence, he oversaw two of the biggest and most important IT overhauls this countries ever seen, to universal praise. I got the distinct impression he just wanted a change of pace after a decade dealing with that pressure, and who can blame him? As for shared history between Sterrenberg and Lawrence, the public service doesnt work that way any more. Any chance of impropriety, particularly at that level of the chain, is career suicide. Wouldnt happen. If he happens to have contacts that made the selection pool easier, so be it, but there wouldnt have been anything beyond effectively telling a mate that a jobs going. Oh, and I wouldnt worry about public service mentality getting caught in a rutt. While the potential is still there, the culture has moved on from that and has a lot more in common with the private sector than most people would think or expect. Its a different world these days. Renai, did you not read the statement from Defence? There is no opportunity to extend the contract, which means they explored the option but are unable to do so. Generally this is to ensure that no forms of corruption can bed themselves into the organisation at the highest level. With regards to having no expereince in the public sector, I think he’s going to struggle. In the Defence CIO role you sit on the Defence Board, with Generals, Admirals and Air Chief Marshals…personally I think he’ll struggle a bit. These guys don’t give in easily, climbing the ranks in Defence is no easy journey and unless he has a thick skin and an iron backbone, he will struggle. Defence saying there was no opportunity to renew the contract doesn’t say jack ;) It’s bureaucrat speak. That could mean a decision on either side. Farr has not commented on the matter to my knowledge. You seem to know the process better than anyone. You can’t FoI those kinds of things … ;) They just get sent back rejected. The likely situation is that Greg Farr was offered a continuation of his contract, but politely said no. It’s not something that would be on record, and as its a personal decision not subject to FOI anyway. If the contract had been terminated early, then FOI might come into it, or at least into any meetings discussing the termination. Thats as close as you’d get, but even there likely to lead nowhere. As thats not the case, its a moot point. I know enough of what he went through with the ATO’s change program (to call it a success is incredible, given the trials and tribulations it suffered along the way) to think he just wants a break after a decade of stress.